Abstract—Cloud computing with storage virtualization and new service-oriented architecture brings a new perspective to the aspect of dependability of video surveillance solutions and other safety-critical applications. The existing research is focused mainly on security challenges of cloud applications in general. The area of safety-critical systems is relatively unexplored especially beyond aspects of system security. We believe the overview of system dependability shall be done to cover other dependability attributes. It shall bring new arguments for expansion of video surveillance systems towards cloud technology, global resources distribution and virtualization. The article reviews the main drivers towards surveillance in cloud technology. We research the dependability characteristics in context of transition of video surveillance architecture towards cloud solutions. Finally, we propose the areas of focus for system development and design. The main motivations driving video surveillance towards cloud computing is the scalability of computing and storage resources which provide; cost effective scalability, flexibility of resource management and improve system performance. The transition of video surveillance towards cloud solutions can be seen rather as a continuous process than a disruptive innovation. There are multiple factors which indicate that the development towards a cloud solution is a natural evolution for the development of surveillance systems. The architecture of video surveillance systems develops towards a model that includes dumb clients and a core of servers – it is identical with the architectural principles of cloud computing. Moreover, the systems themselves are becoming more often distributed, creating the structure of multiple local sites connected in mesh-like structures. The connectivity between single locations is based upon IP (Internet Protocol). Additionally, there are ongoing processes of standardization for architectural solutions and external interfaces (refer to ONVIF , PSIA , and Web Services architecture standardization by W3C ). In the case of surveillance systems, the process is driven by the requirement for multi-vendor integration with open and well defined interface environment enabling a cloud-based architectural solution. An open and standardized environment motivates the development of other valueadded features (such as quality or security) which can then be offered as a product differentiator driving market maturity. Addressing the current weak points of dependability should have a positive impact on a number of cloud-based safety-critical systems. Finally, typical video surveillance systems have high demands for massive storage requirements (recording of video streams) and highperformance computing (coding the streams and system intelligence) which are major advantages of cloud and virtualization technologies. However, system transition towards cloud solutions is not without its challenges. In order to benefit from a cloud based system, there is certain amount of system and software development required. The systems should be able to accommodate automated mechanisms available in the cloud infrastructure, utilize advantages of cloud architecture and also handle cloud architecture limitations. A good example is the video format conversions requirement which accommodates available service models (cost of storage at data centre and the cost of network transmission). Another example includes extension of system failover mechanisms to accommodate virtual machine failover availability. One of the problems with this transition towards a cloudbased system might be the flexibility of the offering. A cloud service offering may be focused on supporting the scenario where the video transmission happens from the cloud to the user whereas in surveillance system the video is transmitted from the user or camera towards the cloud (for storage purposes). This article reviews the transition alternatives from a traditional to a cloud-based surveillance system. 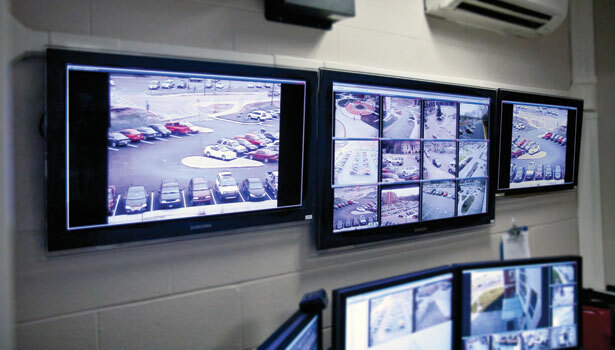 An overview of dependability objectives for a surveillance system is also described. Next, the objectives of dependability objectives: availability, security, reliability and maintainability are analyzed. The article is closed by a discussion chapter containing a short summary of the topic for the transition process. The process of transition of a surveillance solution towards a cloud-based system is expected to be quite complex, this is due to security concerns of cloud-based systems and the immaturity of the current market offering of cloud services. Therefore, it is expected that the transition will be gradual and some of scenarios will be more attractive than others. Hardware virtualization provides an interesting alternative for being a first step for the transition to cloud technologies. It changes traditional relationship between software and hardware – software is no long.